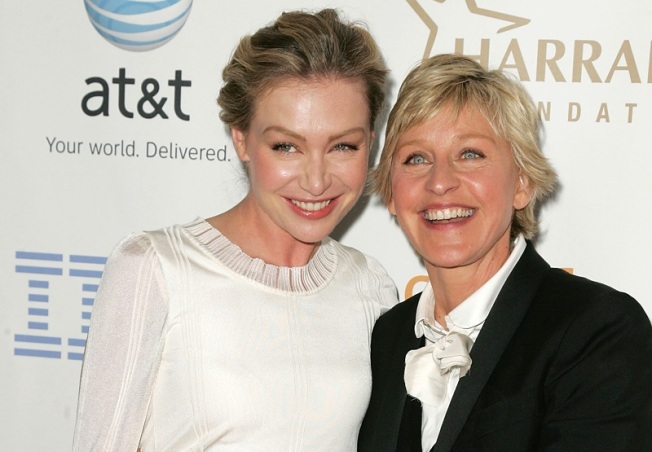 Ellen DeGeneres has won the last four Emmys for best talk show host and her girlfriend Portia de Rossi has starred on the hit shows "Nip/Tuck" and "Arrested Development." Despite the wealth of success enjoyed by homosexuals both onscreen and in real life, many in Hollywood are still hesitant to openly declare their sexual orientation. How can this still be so in a country where the openly gay Ellen DeGeneres is a very popular talk show host? "For both men and women, being openly gay, at least for now, means giving up any hope of superstardom," writes Mireya Navarro of the New York Times. “The industry is persuaded that being known as gay will undermine your credibility both as romantic lead or an action star,” said Larry Gross, director of the Annenberg School for Communication at the University of Southern California and author of a book on media portrayals of gays and lesbians. Neil Patrick Harris of "How I Met Your Mother" and T.R. Knight of "Grey's Anatomy" are just two of the more than 80 openly gay, lesbian or transgender characters on TV. Yet starring roles for such performers are rare. Witness "Milk," the new film about gay activist and martyr Harvey Milk, starring heterosexual Sean Penn. "There are not enough famous gay actors to play these roles, " said Jason Stuart, chair of the lesbian, gay, bisexual and transgender committee of the Screen Actors Guild.